This beautiful Bay Thoroughbred named Harry has been adopted! This is his first day with his new pasture mate and it looks like they already like each other. His adoption family confirmed that he is getting along and the two have become best friends. Would you like to adopt a horse? Take a look at our web site and email or call for more information: help@t-bar.org or 936-878-2349. We have several horses that are ridable. All they need is you! 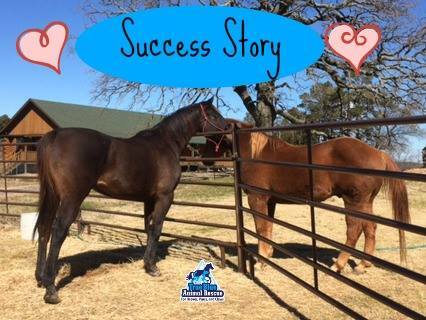 Posted in Horse Success Stories and tagged adopted, animal rescue, Horse, horses, rescue, Texas, Thank You, True Blue Animal Rescue.